Pocket Cutter: A pocket tool often used for cutting or drilling. Skill: Beam Weapons (Pistol). Aperture 0.012 cm. Beam energy 0.06 kJ. Energy used per shot 0.12 kJ. Extra power cell 0.06 kg, $3. Palm Laser: A small weapon designed for a slim profile and concealed carry. It does not have a terribly ergonomic design, since it lacks a grip and has no real sighting mechanism, so it is mostly used at short range with unaimed shots. Skill: Beam Weapons (Pistol). Aperture 1 cm. Depth of focus multiplier 0.05. Beam energy 0.06 kJ. Energy used per shot 0.12 kJ. Extra power cell 0.012 kg, $0.6. Pocket Laser Pistol: A small sidearm designed for concealed carry. Skill: Beam Weapons (Pistol). Aperture 2.5 cm. Depth of focus multiplier 0.03. Beam energy 0.2 kJ. Energy used per shot 0.4 kJ. Extra power cell 0.1 kg, $5. Medium Laser Pistol: A typical laser sidearm, commonly used in law enforcement or by civilians for self defense. Skill: Beam Weapons (Pistol). Aperture 3.5 cm. Depth of focus multiplier 0.03. Beam energy 0.5 kJ. Energy used per shot 1 kJ. Extra power cell 0.25 kg, $12. Pistol Cutter: A cutting and drilling tool with a pistol grip. Skill: Beam Weapons (Pistol). Aperture 0.03 cm. Beam energy 0.8 kJ. Energy used per shot 1.5 kJ. Extra power cell 0.8 kg, $40. Magnum Laser Pistol: A heavy sidearm that packs a powerful punch. Skill: Beam Weapons (Pistol). Aperture 3.5 cm. Depth of focus multiplier 0.035. Beam energy 0.8 kJ. Energy used per shot 1.5 kJ. Extra power cell 0.3 kg, $15. 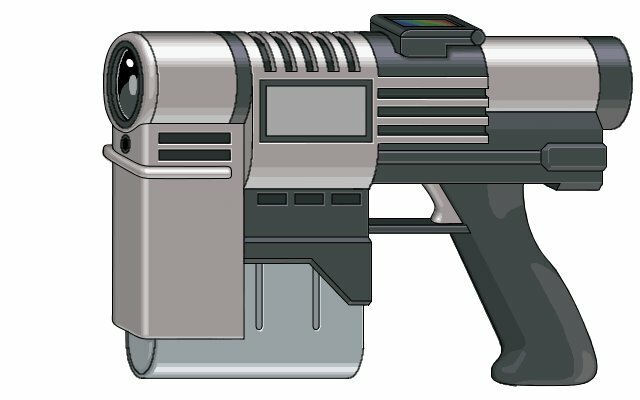 Auto Laser Pistol: A heavy, military-style sidearm capable of rapid fire. This weapon is commonly used in roles similar to submachine guns. Skill: Beam Weapons (Pistol). Aperture 3.5 cm. Depth of focus multiplier 0.03. Beam energy 0.5 kJ. Energy used per shot 1 kJ. Extra power cell 0.4 kg, $20. Target Laser: A lightweight sporting laser, often used for competition shooting, varmiting, and hunting small game. Skill: Beam Weapons (Rifle). Aperture 6 cm. Depth of focus multiplier 0.02. Beam energy 0.9 kJ. Energy used per shot 1.8 kJ. Extra power cell 0.18 kg, $9. Laser Carbine: A compact longarm for use in close quarters combat or by vehicle crews. It is capable of rapid fire, particularly if using reduced power beams. It may alternately obtain energy from a 5 kg pack, providing 500 shots for $250. Skill: Beam Weapons (Rifle). Aperture 5 cm. Depth of focus multiplier 0.025. Beam energy 0.9 kJ. Energy used per shot 1.8 kJ. Extra power cell 0.5 kg, $25. Assault Laser: A common infantry longarm. It is capable of rapid fire using reduced energy beams, or punching through most body armor at close range with full power discharges. It may alternately obtain energy from a 5 kg pack, providing 300 shots for $250. Skill: Beam Weapons (Rifle). Aperture 6 cm. Depth of focus multiplier 0.025. Beam energy 1.5 kJ. Energy used per shot 3 kJ. Extra power cell 1 kg, $50. Heavy Duty Cutter: A two-handed torch for tough cutting and drilling jobs. Skill: Beam Weapons (Rifle). Aperture 0.04 cm. Beam energy 2.5 kJ. Energy used per shot 5 kJ. Extra power cell 2.5 kg, $120. Hunting Laser: A common civilian weapon capable of taking big game such as deer or boar. It is incapable of firing more than RoF 3, but reduced power beams are often used for smaller game. Skill: Beam Weapons (Rifle). Aperture 6 cm. Depth of focus multiplier 0.025. Beam energy 2.5 kJ. Energy used per shot 5 kJ. Extra power cell 0.25 kg, $11. Infantry Battle Laser: A full sized and high powered laser longarm for infantry combat. It may alternately obtain energy from a 5 kg pack, providing 200 shots for $250. Skill: Beam Weapons (Rifle). Aperture 6 cm. Depth of focus multiplier 0.03. Beam energy 2.5 kJ. Energy used per shot 5 kJ. Extra power cell 1 kg, $50. Sniper Laser: A large aperture and high power beam allows this weapon to deliver damaging pulses at long range, particularly when set to emit shorter wavelength beams. Skill: Beam Weapons (Rifle). Aperture 10 cm. Depth of focus multiplier 0.018. Beam energy 2.5 kJ. Energy used per shot 5 kJ. Extra power cell 1 kg, $50. Dinosaur Laser: This weapon is optimized to emit a very high energy pulse at low overall repetition rates. It is used to lake down the largest and most dangerous game. It also finds a role as a light anti-armor and anti-material weapon in militaries. Skill: Beam Weapons (Rifle). Aperture 8 cm. Depth of focus multiplier 0.03. Beam energy 7 kJ. Energy used per shot 15 kJ. Extra power cell 0.7 kg, $35. Light Support Laser: A squad-support level weapon, serving in a machine gun role. Skill: Gunner (Beams). Aperture 10 cm. Depth of focus multiplier 0.018. Beam energy 2.5 kJ. Energy used per shot 5 kJ. Extra power cell 12 kg, $600. Heavy Support Laser: A rapid fire light anti-armor weapon. Skill: Gunner (Beams). Aperture 12 cm. Depth of focus multiplier 0.03. Beam energy 20 kJ. Energy used per shot 40 kJ. Extra power cell 100 kg, $5000. 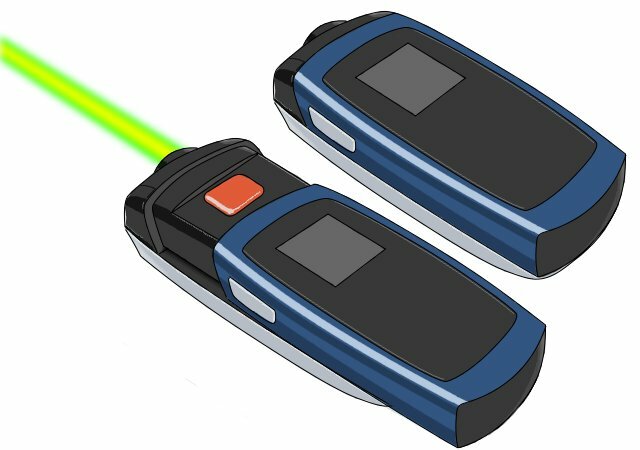 Strike Laser: A rapid-fire vehicular laser, often used on aircraft. 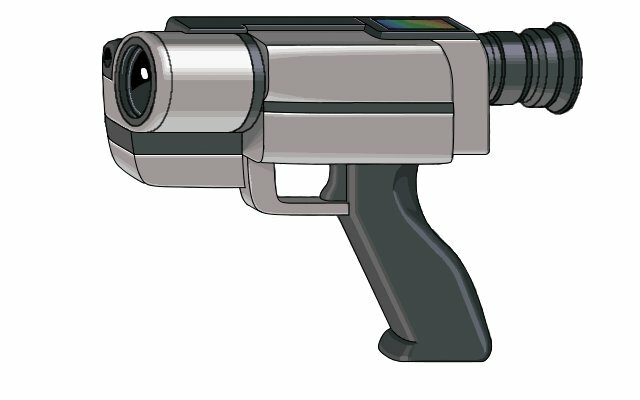 The beam is directed with a turreted beam pointer telescope separate from the beam generator, allowing faster and more accurate beam aiming than if the entire weapon had to be turned to aim the beam. Skill: Gunner (Beams). Aperture 20 cm. Depth of focus multiplier 0.02. Beam energy 40 kJ. Energy used per shot 90 kJ. Extra power cell 90 kg, $4000. Laser Cannon: A heavy vehicular mounted weapon. Like the strike laser, the beam is directed via a turreted beam pointer telescope separate from the main beam generator. Skill: Gunner (Beams). Aperture 30 cm. Depth of focus multiplier 0.05. Beam energy 1500 kJ. Energy used per shot 3000 kJ. Extra power cell 1500 kg, $80000. Recharging pack: A battery pack that can recharge power cells between firefights. It does not provide enough power to directly shoot most pulse lasers, but it can continuously provide 2 kW of power while the power cell is at less than maximum capacity, for a maximum energy of up to 10000 kJ. Divide the power supplied by the energy per shot of the laser to find the time to recharge one shot, divide the maximum energy by the energy per shot to find the total number of shots that can be supplied when fully charged. Mass: 1 kg. Cost: $100. Palm Laser. In the pictured model, depressing the side button allows the safety shroud to slide back, revealing the firing button. This prevents accidental discharge while being carried in a pocket or purse. Assault Laser. Model features variable power SLR targeting scope, flip up holigraphic reticle (shown flipped closed), adjustable stock (shown fully retracted), capacitance sensor and biometric grip safety, and a lightweight, durable, weatherproof construction. Fully integrates with all major HUD protocols via cable, wireless, or skin conduction. The beam generator is in the stock, power supply and electrical pulse shaping equipment is located in front of the trigger housing, and beam shaping and control is housed within the scope/focal array assembly.